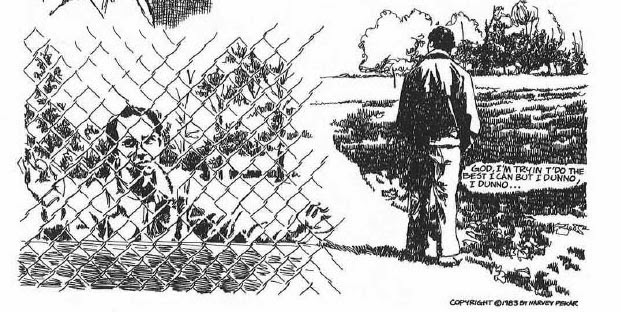 Today, for no particular reason, I was moved to reread Harvey Pekar's classic short comics story, "I'll Be Forty-Three on Friday (How I'm Living Now)". Since my copy is buried deep in a box, I'm fortunate that someone posted it online. As of now (no guarantee to these things, of course), you can read the entire thing here, albeit in an awkward format.